I love the white and pink in this outfit; I think a white based outfit always looks really fresh and dainty. 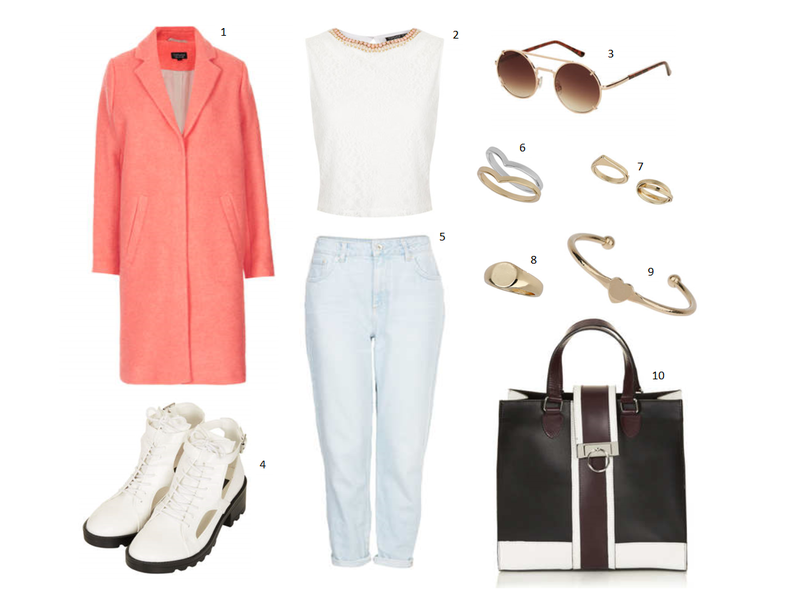 The mom jeans and the oversized boyfriend coat means that the outfit is still oversized and casual and the rose gold jewellery keeps it girly and cute. I’ve added the boxy tote bag in black and brown to add a touch of office glamour to the whole outfit so I look like I mean business. “Keeping it real”. Of course, there is no way I could afford this outfit in one go. Or in lots of goes, to be honest, but it’s nice to have inspiration for my next purchases. Which won’t be for a while as Christmas has drained me! That coat is a dream! I need to go to TopShop!